Our team of experienced solicitors assist companies and individuals that are experiencing financial difficulties. We act for insolvency practitioners, debtors and creditors, and for shareholders and directors of insolvent companies. Our philosophy when advising businesses and individuals in financial trouble is to try and avoid formal insolvency when possible but where it is not, we will help you plan an effective strategy for dealing with your problems. We have built up a wealth of experience over many years dealing with insolvency matters and appreciate that advice is often required quickly and always cost effectively. This is what you can expect from our insolvency solicitors based in Chester and Shrewsbury. Negotiations with trustees in bankruptcy, liquidators and administrators (what we call “office holders”) including negotiation with and advice in relation to the office holder’s rights. Our team of specialists in insolvency law have assisted hundreds of businesses, individuals and creditors to get the best result out of what can be a difficult and stressful situation. We make the process as simple as it possibly can be for our clients. Our insolvency solicitors based in Chester and Shrewsbury have a good understanding of our client’s situation and their needs and we use this to resolve their situation quickly and efficiently. 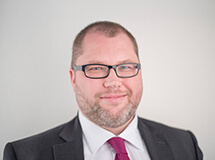 Aaron and Partners are experts in insolvency and if you need some expert advice or just some general queries answered our team is happy to help. Our Partner & Head of Dispute Resolution & Insolvency, Nick Clarke, is available on 01244 405558 or via email at [email protected]. For any other legal advice queries please don’t hesitate to call us on 01244 457619 for more general advice or if you’re seeking advice in a different area of law.